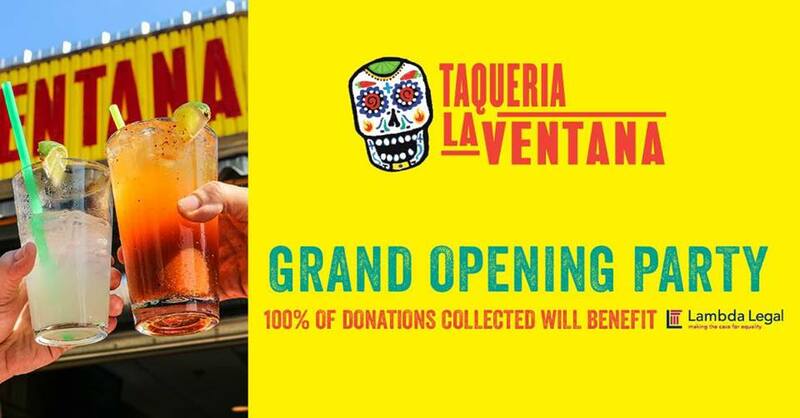 Taqueria La Ventana is coming to the strip – and we’re partnering with our good amigos at Lambda Legal to help launch! Register now for our exclusive Grand Opening Mixer to benefit the great work Lambda Legal Dallas does in the community. 100% of all donations collected will go to benefit Lambda Legal. You must RSVP and show reservation at the door to redeem free items. We cannot serve an alcoholic beverage to anyone under 21 years of age.